"This was the first time a U.S. presidential campaign had an artist in residence. They allowed me to go backstage and sometimes on the stage and I found myself sitting next to a mayor one time. 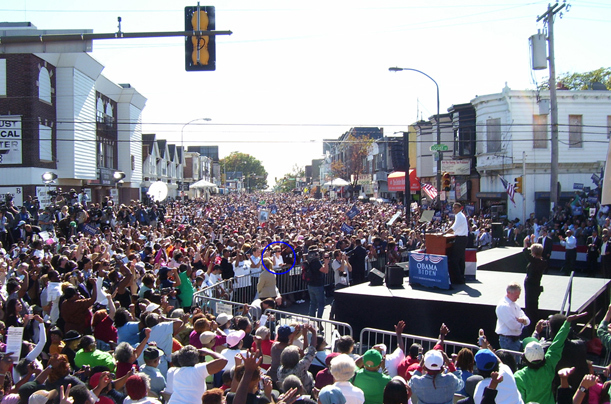 But I often liked to be in the crowd, to watch the people or to look at Obama from their vantage point."